Boil Baby Potatoes and pill its skin and make small whole in the potatoes. Take one bowl, add red paste ( garlic, dry red chilies, salt, vinegar, cumin seeds), little bit water and mix it well. 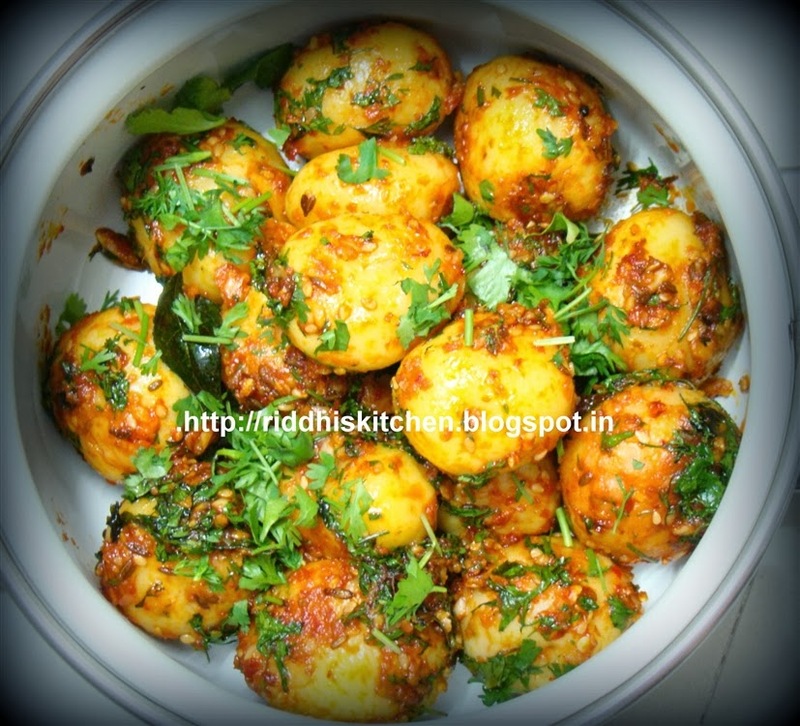 Add baby potatoes in it for marination( atleast 1 hour). Take one pan and add mustered oil .Add cumin seeds, curry leaves, garlic paste and ginger paste,hing. Add marinated baby potatoes, Sesame seeds, salt to taste and mix it well. leave it for 15 minutes. In between stir 3 to 4 minutes. Garnish with lots of fresh coriander. Ready to serve " Lasooni Sesame potatoes". CAN I GET THIS IN HINDI ??? Use Google translate option shown on the right side of the page. Select language to Hindi. Thank you.